Card Hunter Introduces its Fourth Class! Card Hunter has been around over a year and a half, now, and this whole time we’ve only let players pick from three classes: Warrior, Wizard, and Priest. Players have asked for more options, and of course, we’ve given these requests a lot of thought. But if we were to introduce a new class, what should it be? The obvious possibility of a Rogue was discussed at length, but the question always came down to the role. What do Rogues do? Many of their hypothetical abilities already belong to existing classes: backstabbing (Warrior), ranged damage (Wizard), debuffing (Priest). While Rogues may or may not feature in the future, we wanted our fourth class to really shake things up. We went outside the box on this one, and we think our addition will surprise—and please—our players. Jewelers add an entirely new dimension to play—their abilities revolve around loot. 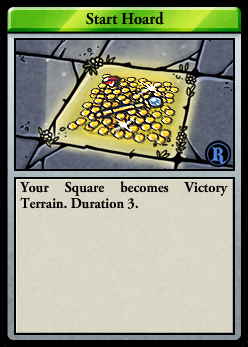 A lot of the cards we have in development don’t fit into the classic class divisions; Jewelers have little in the way of damage, and they have no assists to help their teammates. Mostly they function as win conditions in a control-oriented party, but their abilities could be fun in a blitz deck for maximizing loot intake per minute of gameplay. An example of the latter is the following Trait, slotted for the all-new Finance Skill items. The most exciting thing about the Jeweler is that a full eight of its item slots are Treasure items. Yes, you read that right. All those ‘useless’ items, normally seen as simple sources of gold pieces? The Jeweler can equip them. 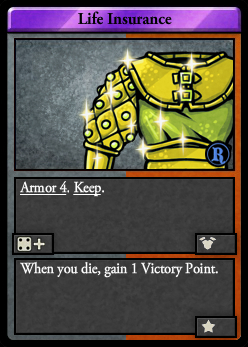 As you’ll see, Treasures now have cards associated with them, and are equippable, so long as you have a Jeweler in your party. 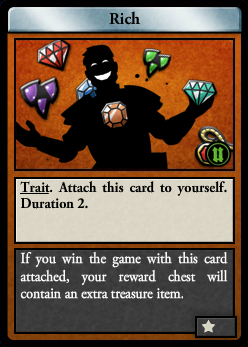 Now, you may be wondering what the Jeweler does between manipulating your victory points. Well, the sad fact is the Jeweler is probably getting attacked, because your opponent doesn’t like the idea of you winning without a fight! Jewelers are pretty squishy (their hit points are actually the lowest of any class, 21/17/13), but they have a couple fun tricks up their sleeve on the defense. The following cards can be found on new Business Suit items. Up next: previews of our new Jeweler costumes. Also stay tuned for a sneak peek at our new playable race, Trolls. I know that I’ll be making a triple Jeweler party right away! Maybe have a Flash Flood wizard, that could be good too. 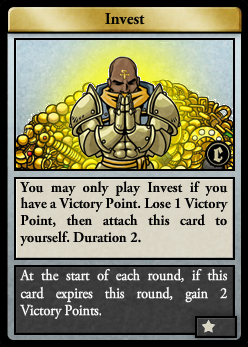 Even knowing it is a joke, I still am distracted by thinking up good strategies for the cards as I read them. It would be nice to add a 4th class tough. Jeweler? What happened to Rules Lawyer? Find loopholes to explain why your opponent’s attack failed. If it didn’t fail, sue for compensation and confiscate d12 cards. 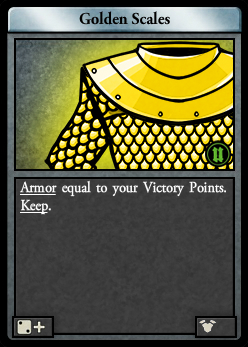 If the offender has fewer cards than awarded, garnish said cards at start of round until the obligation is met. Trolls would be a natural for this class. Oops. I forgot about restraining orders to prevent them from approaching within 3 squares of a victory point. Great job guys, an original DIFFERENT class, instead of simply implanting a common class like Guardian or something. I hope this was just a bad April fools joke. Oh. You are kidding. Darn.